Miya Kitamura was born into a family of traditional ceramic artists in Kyoto and was making ceramics from an early age. 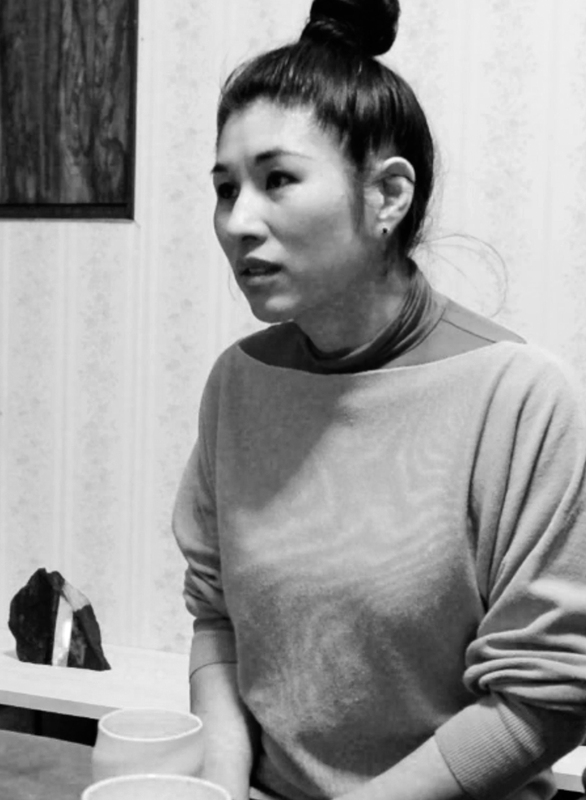 Though she studied ceramics in high school and college, and was expected to take over the family business, Kitamura felt that ceramic making was ‘not quite right’ for her. Though she instead took up glass making, she has been able to draw on her experience and knowledge of glazing and apply it to her chosen field. Kitamura studied glass making at the Toyama Glass Institute, a major center for glass study in Japan, where she worked as an assistant, and later at the glass department of the Kurashiki Art University. Kitamura also worked as a staff member at the Ezra Glass Studio in Fukui and the Toyama Glass Studio before she became an independent artist. 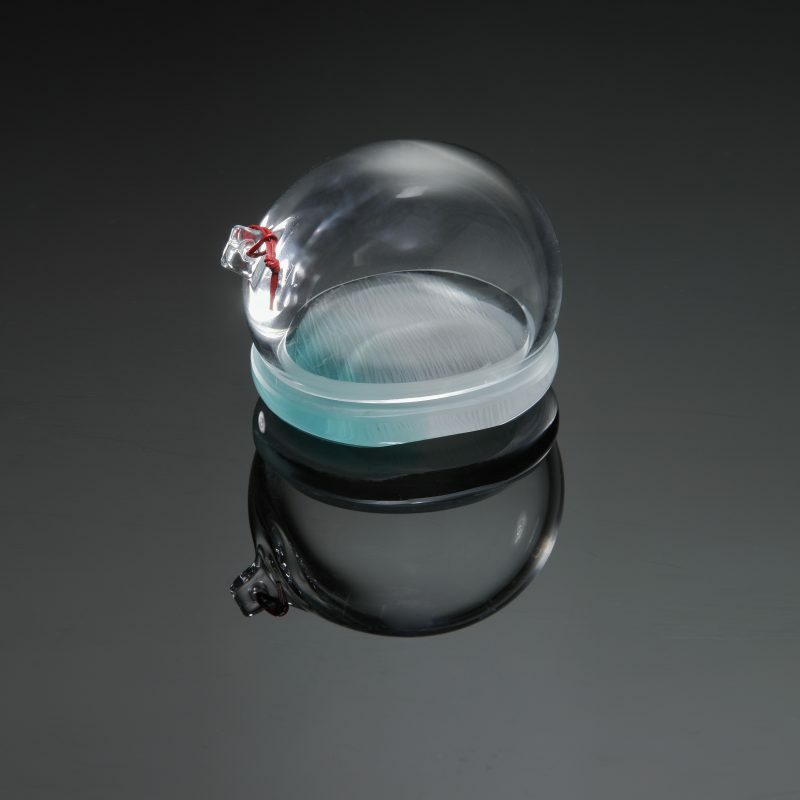 Today she is based in Toyama, where she lives with her husband and fellow glass artist, Suguru Iwasaka. Kitamura’s work has been widely exhibited at numerous national and international exhibitions. Her work has won many awards including the 1st prize at the Kanaya Machi Rakuichi awards in 2013. In 2017, Miya had a joint glass and ceramics exhibition with her father in Osaka. Miya Kitamura values the utility of the items she makes, especially the shape and the weight, and creates pieces that feel good to touch and lift. She believes that everyday objects can be beautiful and distinctive. 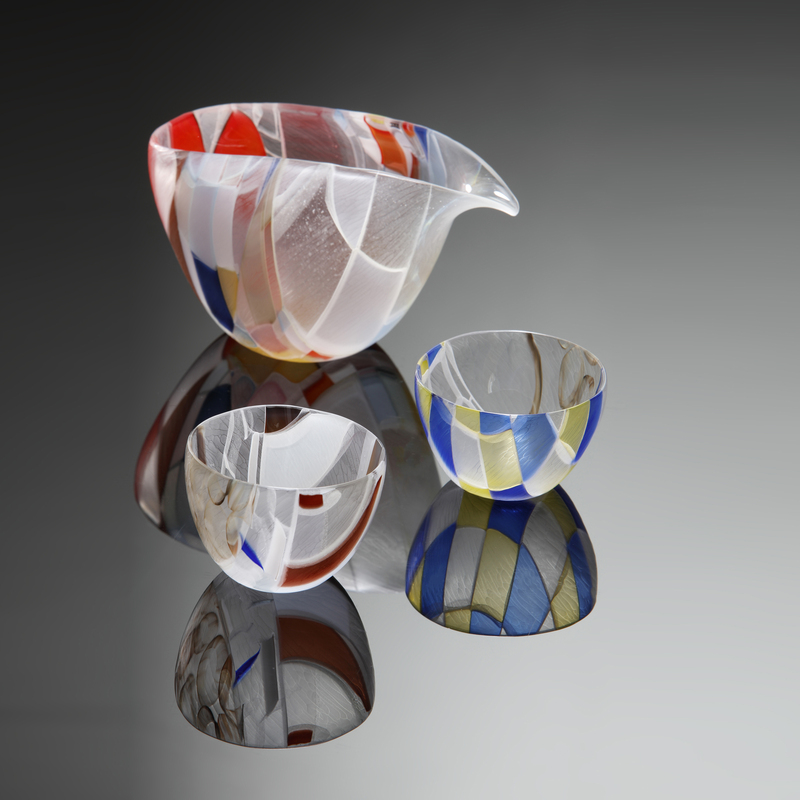 The artist applies her Japanese values to her glass making – creating her pieces with dedicated craftsmanship and attention to detail. 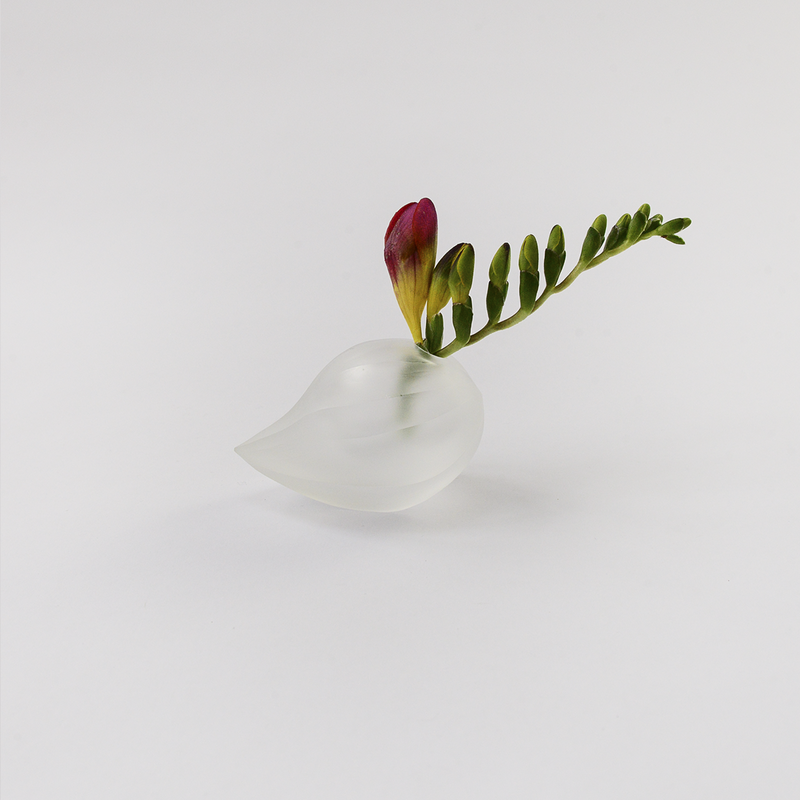 ‘I think Japanese glass work is comprised of unique details, which you can only discover when you look closely’, Miya says, ‘I want my pieces to be functional so that they can be used every day. I am happy if my works can make someone’s life a little more beautiful, just in a simple action like drinking a glass of water, if you have a beautiful glass, it can become a better experience’. Kitamura’s pieces all show a deep appreciation for design and detail. 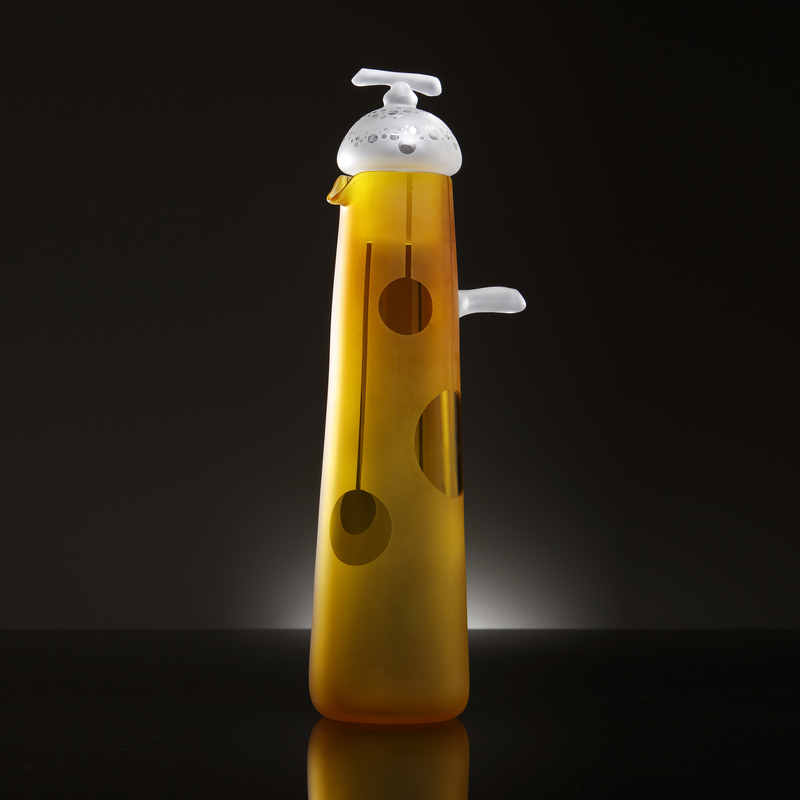 The Sulphur Water Jug is skillfully crafted with a colour gradient and a mixture of smooth and textured segments. The Bubble Butter Holder is simple and refined, composed of a clear glass-blown lid and a thick base with a subtle splash of turquoise. 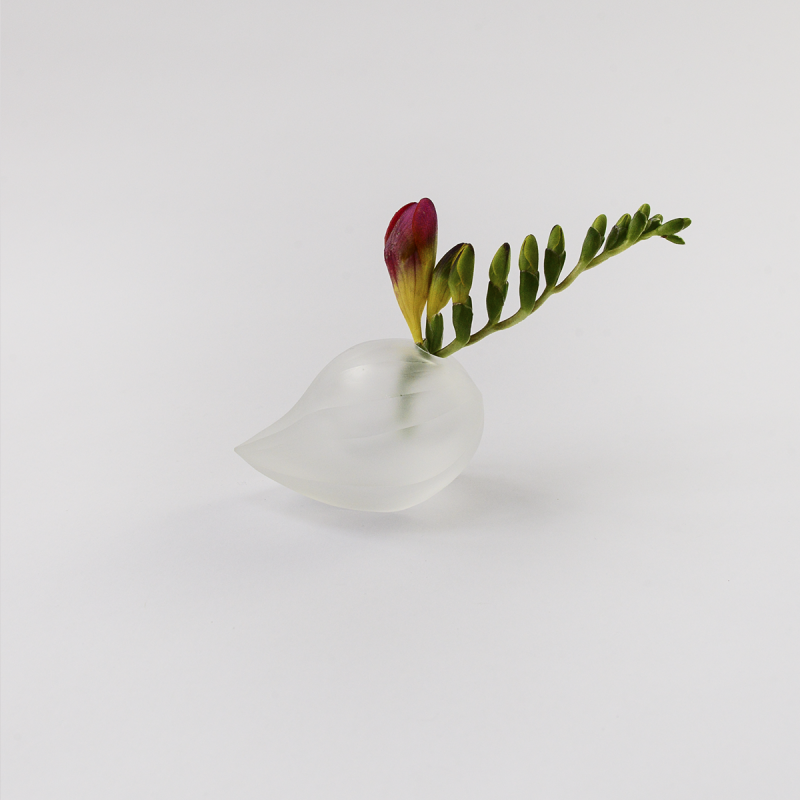 The small Leaf-Shaped vase is perfect for holding a single stem, which reflects Japanese minimalism and understanding that a single flower can be more beautiful than a big bouquet. To read about two other artists represented by Japanese Glass, see our posts about Takeshi Sano and Ushio Konishi . Magnificent work. does she show in the United States?